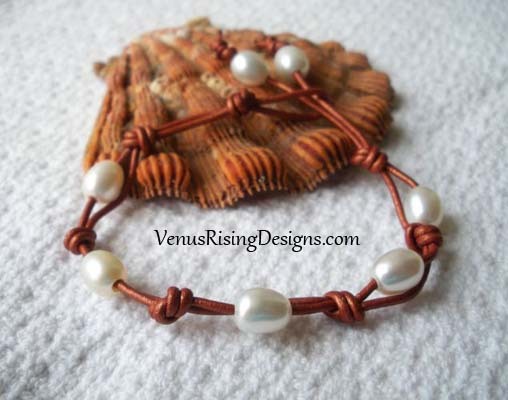 The coppery shimmer in the leather cord nicely sets off the creamy white pearls in this bracelet. Bracelet is adjustable 6-3/4" to 7-3/4". Contact me if you need a different size.